← On the First Day of Christmas . . .
No gardens here until May. We still have some snow, and more might be coming on the weekend. 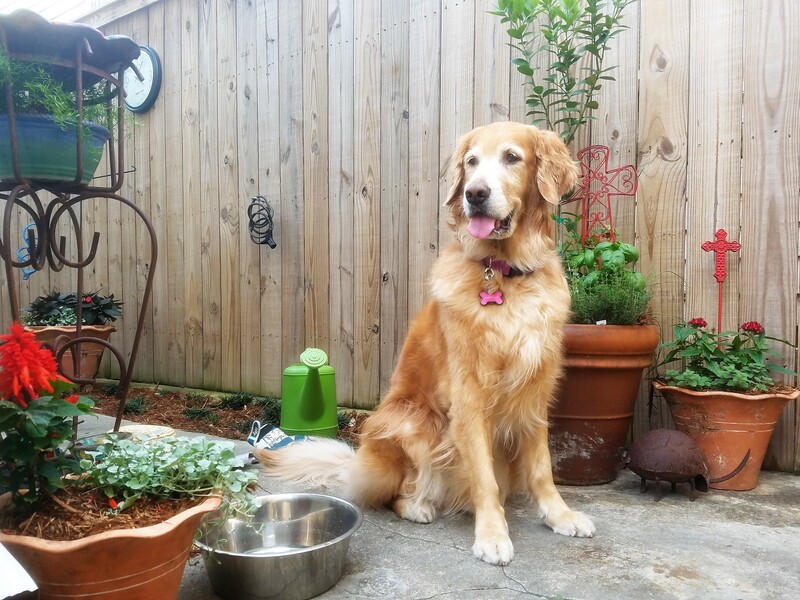 Enjoy your Golden garden. Gizmo and I have been building an herb garden in our new, tiny “yard”. Everything is in pots and the scents are wonderful.. We do have a lovely ghost pepper plant to add a bit of spice. such pretty pics of the Golden Gardeners! We are waiting for the rain to stop before we plant stuff. You two look so sweet helping your mom. 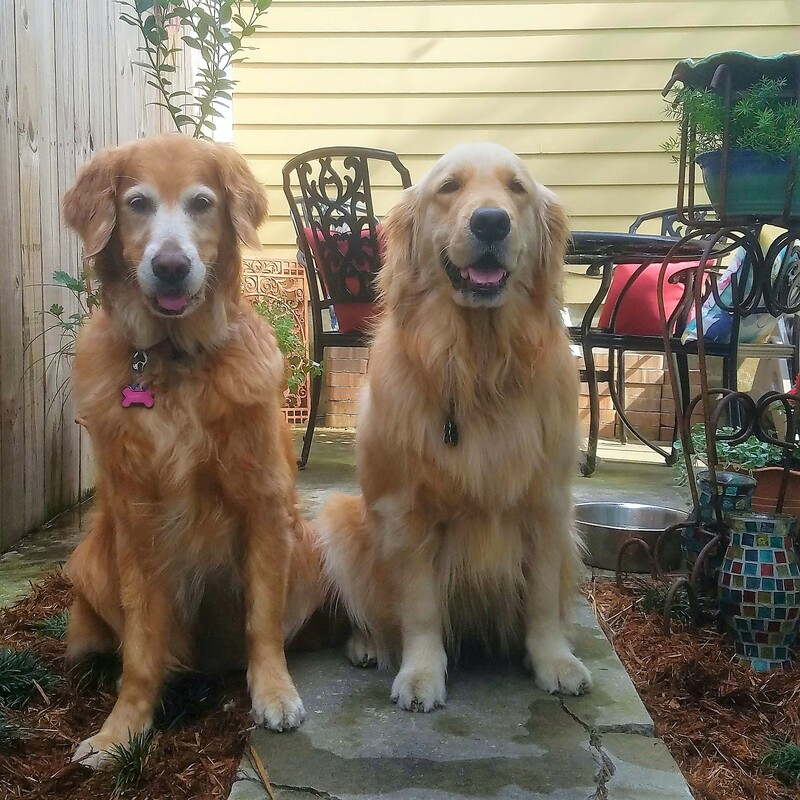 Good girls for being so helpful and keeping Mom on task I’m sure. 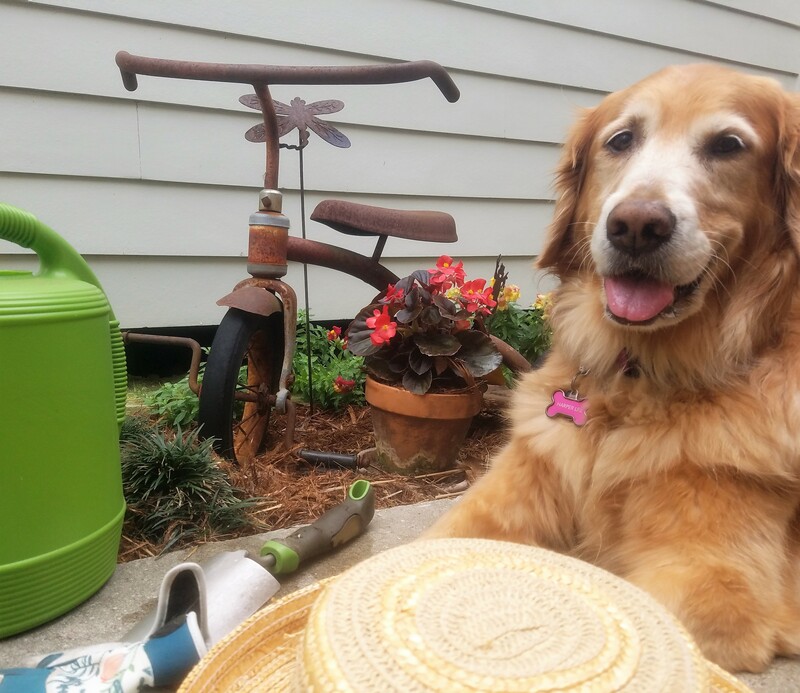 Kloe is “fascinated” with gardening and is always eager to help improve our handiwork with her own personal redux! We may need your help MHL to help Kloe understand that once the pretty flowers are in the ground they should stay there! 🙃. Happy spring to all! oh this is sooo “Springy” and darling!! Love it!! Beautiful flowers, enjoy your day. I think you girls are doing a lovely job in your mini-garden. Way to go. Your mom isn’t bad, either…. My mom is forcing some tulip bulbs in the living room, since there is still a LOT of snow outside. Happy spring! 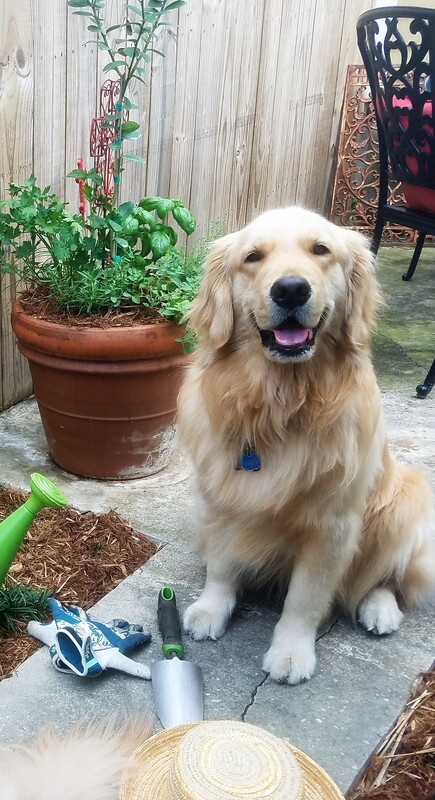 A gorgeous Golden green thumb garden, especially with the two of you guys! Just a quick note to say we’ve missed you and hope all is well. Hello Miss Harper Lee and Tallulah! We love your garden. Looks like some digging is in order? Our human Mama Jo is back into blogging and she has been looking out for you. She wants to use Harper Lee for a puppy name. Hope that is ok and hope all is OK with you guys and your human mom. Signed, The Sundogs. Great to hear from you Miss Harper Lee. Sounds like you are doing very important work. Some of the Sundog babies from years before do work like yours. Take care and keep up the good work. What a wonderful way to spend your ninth year together. Your mom must be happy that she has a smaller garden now instead of that big one. 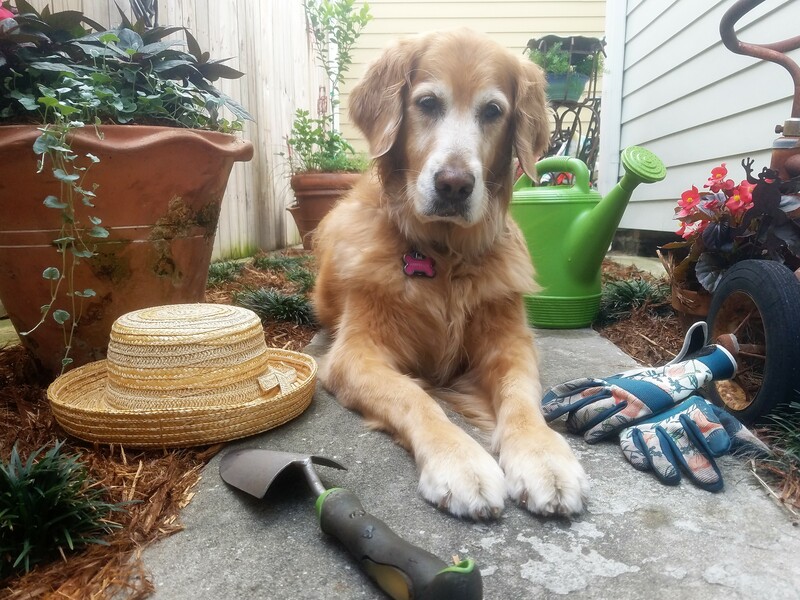 Plus she has help from the new doggie garden helpers. Thanks for sharing the beautiful photos. Have a wonderful day.